Come experience our fully stocked bar and ice cold beer. Our barmaids are always ready to serve you with a bright smile and a welcomed greeting.They will put a cold drink in your hand and a warm smile on your face. Food also available in lounge : pizza, soft pretzels, popcorn, chips and pretzels. Closed Mondays (Except when Lodge activities warrant) Tuesday: 4p.m. til 9:00p.m. Wednesday & Thursday: 4 p.m. til 10 p.m. Friday: 4 p.m. til 12a.m. Saturday 1:00 p.m. til 11:00 p.m & Sunday, 12:00 p.m. til 8:00 p.m. These hours are flexible according to activities in the Lodge. Happy Hour: Tuesday thru Thursday: 4:00 p.m. to 6:00 p.m. -- *Crazy Saturday Is All Day (*on prices of BEER ONLY) plus free hotdogs all day. Sunday: all alcohol is regular prices. No children are allowed on the dance floor after 8 p.m. Shorts are permitted with the exception of Mini-Roasts & most ticketed affairs. Tanks tops, sleeveless shirts are not permitted. Hats are not preferred. Proper attire is expected for all meetings. Come on in & enjoy a game of pool on our two open pool table in our lounge. Our Pool League meets on Wednesdays @ 6:30 pm. You must be a member to join. 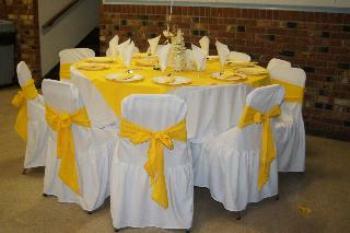 Our Large Hall is available for Rental for Weddings, Meetings, Parties, and other Festivities (300 people maximum). Our Small Hall is available for smaller parties, meetings, etc. (72 people) For details and/or to see the halls, contact Emily Troyer at 410-206-4054. TUESDAY NIGHT BINGO -- ALL ARE WELCOME Early Birds Start @ 7: P.M. Regular Bingo Starts @ approximately 7:30 P.M. Up To 32 Games, All Paper Cards, Big Money Prizes, Raffles, Soda & Snacks @ the Bar or enjoy food from our kitchen. Come Out & Enjoy! Kitchen Menu Includes: Sandwiches, Burgers/Dogs, French Fries, mozzarella sticks, onion rings, nachos and cheese, coffee, tea, and hot chocolate. Occasionally hot soup is available also. 1st Wednesday of the month 5:00 -- 7:00 P.M. We feature a choice of: 1. One pound (26/30 count) steamed shrimp -- $13.00 2. One half pound (13/15 count) steamed shrimp -- $8.00 3. Two (4 ounce) portions of fried whiting -- $8.00 4. One-half pound (13/15 count) steamed shrimp plus One (4 ounce) portion fried whiting -- $12.00 All entrees include fries and your choice of macaroni salad or cole slaw and a dinner roll w/butter. 3rd Wednesday of the month 5:00 — 7:00 P.M. there will be assorted foods available for purchase. There is no surf nights in the months of June, July or August. Our Glen Burnie Elks All-U-Can-Eat Breakfast is held on the THIRD SUNDAY OF THE MONTH from 9 A.M. till 11:00 A.M. at a cost of $8.50 per person. ALL ARE WELCOME. Our Menu Includes: Omelets made to order, Eggs from the grill, French Toast from the grill, Pancakes hot off the grill (made with a secret ingredient), Scrambled Eggs, Sausage, Bacon and Scrapple, Home Fries, Hot Southern Style Biscuits, Sausage Gravy, Juices (Orange, Grapefruit, and Tomato), Fruit, Donuts, Coffee, Tea and Sanka.